A few decades ago, psychological studies started to be published which showed counter-intuitive priming effects. Over the years, many studies demonstrated that incidental exposure to primes such as words, pictures, or other cues could influence a wide range of perceptions, behaviors, and even goals. Several years ago, however, as the replication crisis in psychology began, priming research, became the line of research that seemed to epitomize the unreliability of psychological research. Many original priming findings could not be replicated because of, what were thought to be questionable research practices. A new study by Payne et al. (2016) presents a within-subjects procedure for priming behavior. 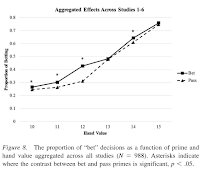 The authors argue that between-subjects designs (in which group of participants receives one kind of prime and another group receives a different kind of prime) and single shot measurements (in which only one or just a few observations are made) how low statistical power. They tested whether a high-powered within-subjects design (in which each subject responds to all prime -target combinations over many trials) would produce a robust demonstration of behavior priming. 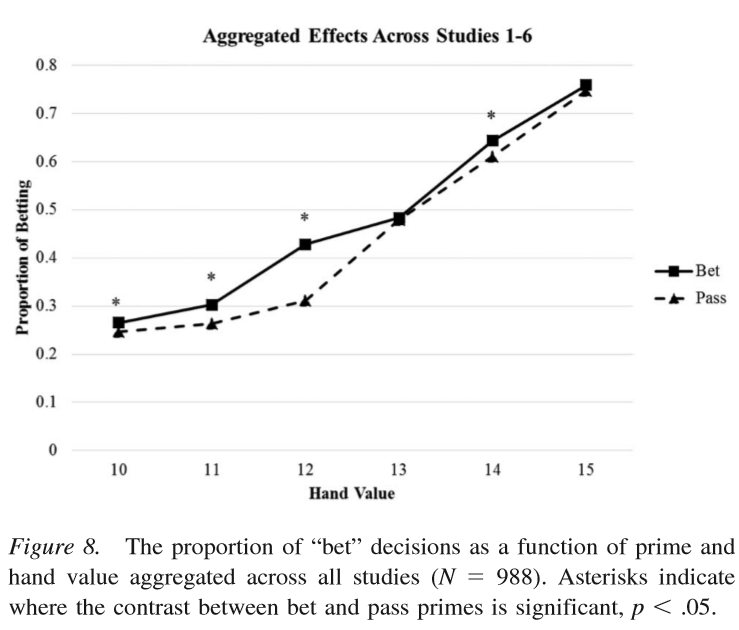 They report 6 replications (N=988) showing that primes consistently affected gambling decisions when the decision was uncertain. Decisions were influenced by primes presented visibly, with a warning to ignore the primes (experiments 1-3) and with subliminally presented masked primes (experiment 4). They also found evidence that primes influenced responses through both automatic and controlled processes (experiments 5 and 6). These studies suggest that primes can reliably affect behavior.